Double tracking has been a staple in studio recording for decades, adding punch and interest at just the right moment. 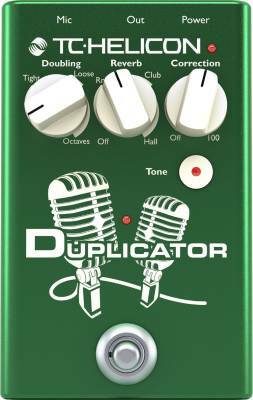 Duplicator brings that studio sound to your live performances, giving you tight, loose and octave options that perfectly suit your song. Along with doubling, the Duplicator gives you easy control over reverb while TC-Helicon's famous 'tone' takes care of your EQ, Compression, De-Essing and Gate. 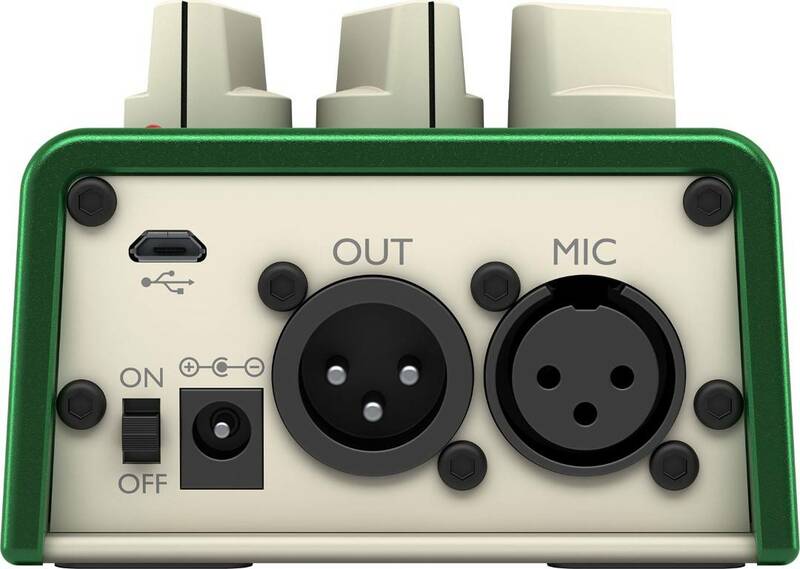 This compact stompbox is the perfect tool for any musician looking to achieve amazing doubling. I'm using a little battery amp, Vox 5 mini with some modifications to do a busking set. It runs guitar, vocals and backing tracks. In that, it can get a bit swampy in the sound. I'm also not the greatest fan of my own voice. It's generally on key, but not a great timbre or presence. I was looking for a vocal processor that would run on batteries. I have a voicelive from TC Helicon for my main setup and I like it so sticking with this company wasn't difficult. It was this or the Mic Mechanic. This does a great job projecting my voice past the competing sound and thickening up my voice. Sometimes I think to my self "who is singing?". It's really some great icing on the cake. It would be nice if the delay was on this as well.. then it really could be all a singer needs for most applications.